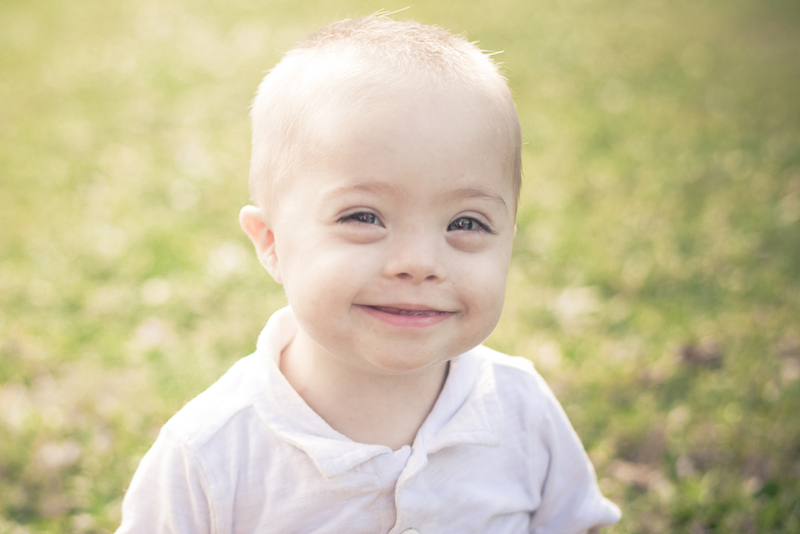 "Jaidin is our special little boy for a few different reasons; he was born with down syndrome and he has two mommies. His story starts over four years ago when his two moms met while serving together in the Army. We eventually knew that we wanted to add new addition to our life; we went through the process of getting pregnant and were surprised to learn at 22 weeks into the pregnancy that the little boy that we were so excited for, had down syndrome. Though our hearts were broken for some time after the diagnosis, we knew we loved this little boy so much already. We were able to march on from that darkness that we were in and found that enjoyment and excitement for the pregnancy again. On March 16th, 2011 our little boy Jaidin was finally in our arms; it was absolutely the best day of our lives. Jaidin is doing so well, he is learning new things everyday. Throughout the past 18 months, we have learned that he is a feisty, FUNNY, stubborn, smart, and beautiful little guy who has no issues letting you know that it is his way or the highway! We couldn’t image our lives without Jaidin in it; we are so lucky to be his parents." He is lucky to have you too, ladies! Oh, the many AMAZING faces of Jaidin... Jaidin recently learned "TOUCHDOWN!" (While watching the Dolphins finally win a game!) ;) Also, it's Jaime's birthday today! (Mommy on the right) Couldja leave her a birthday wish in the comments? I'm sure she'd love it. Happy Birthday Jaime!